Welcome to our online shop. Here you can order copies of Laurette's music and other official merchandise. 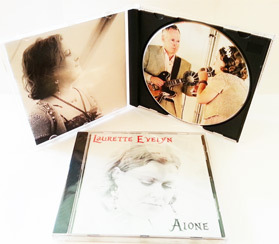 Now available to buy on CD or download, "Alone" features nine studio tracks that cross the boundaries between jazz, folk, rock and pop.